Insane for Svengoolie at the Amhurst Asylum! 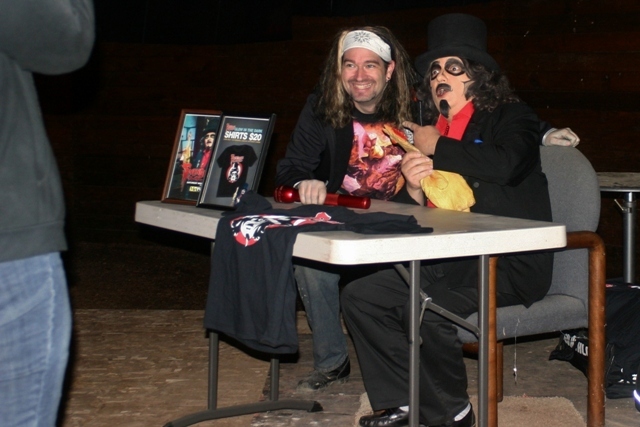 On the chilly first day of October, I made my way to Valparaiso, Indiana to catch National Horror Host, Svengoolie, during his annual appearance at the Amhurst Asylum Haunted Attraction! Turning off a busy main highway, I soon found myself on rural country roads which, for a horror fan, isn’t always a good thing. For awhile I started worrying that I was lost, until a small sign appeared near a cross-way pointing to the venue. Learning my lesson from Sven’s now infamous J.J. Blinkers appearance (which you can revisit HERE), I decided to leave early and arrived at the attraction well before dark. 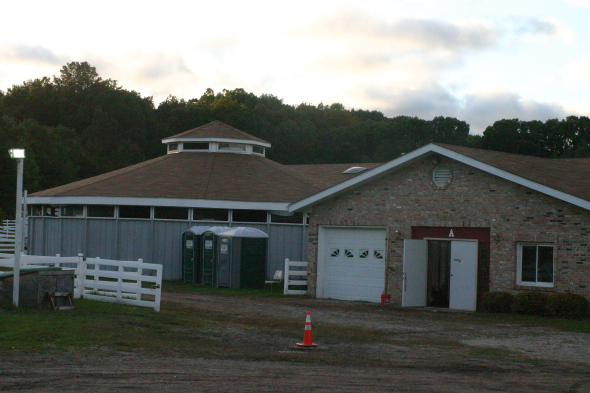 The “Asylum” appeared to be an abandoned stable, once used for horses. I waited in my car with a couple of other early birds while watching a few bloody actors go outside to use the…uh…facilities. Soon it was time to line up and we made our way around the building to the entrance. 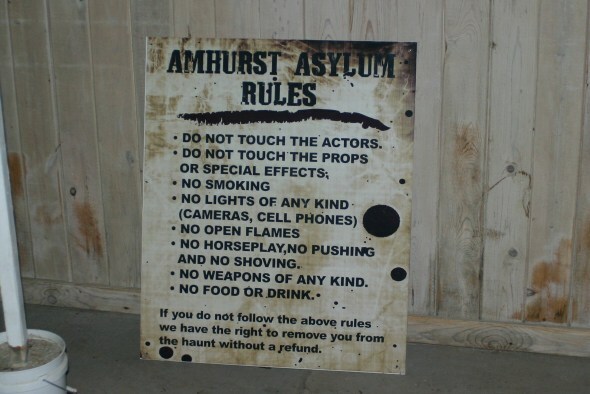 The Amhurst Asylum charged $20 a head but, to their credit, if you wanted to just see Svengoolie it was FREE. One of the workers asked who was there to see Sven and, after a few of us raised our hands, he instructed us to enter a hallway and go into the area in which he’d be signing. We no sooner entered when a gruff security guard (who appeared to take his job a tad too seriously) barked, “You need to get back outside until its time!” So we returned back to the hallway, though not going all the way back outside as he seemed to imply. While we stood in line, I chatted with a few other fans. In front of me was a middle-aged couple and their teen son. “I knew Svengoolie because I’m originally from Chicago,” the woman told me. “But I don’t know who else in these parts will know who he is and show up for this?” In contrast, the couple standing behind me (the gentleman wearing an “It Came from Berwyn” T-shirt) said they lived around the block and were thrilled Sven was here. While we chatted, scary music played overhead including the eerie carnival sounds of Midnight Syndicate. Adding to the macabre atmosphere, a few of the Asylum’s denizens came up to provide extra scares. As the hour grew near, the nice manager handling the event (named Jim) told us we could enter the signing area. The room was circular with mulch floor, no doubt once used to trot horses. As we made our way in, the family in front of me grabbed me and ushered me in front. “You go first, I’m too scared!” said the woman. So, for the first time in my Sven-chasing years, I ended up being the very FIRST person in line to see him! We made our way to the platform set up for our favorite horror host when that old security officer appeared once again demanding we go back to the hall. Fortunately, Jim the manager halted our second retreat and assured the guard that we were okay exactly where we were. As our eyes squinted in the dimly lit (there wasn’t enough power to fully light the signing area a worker later told me) room, we saw a large moth fluttering about. “Look! A moth!” exclaimed the woman next to me. “Shhhhh! Quiet!” I said. “Rent-a-cop over there is libel to open fire on the damned thing!” The laughter turned to cheers as Svengoolie finally made his way in. Svengoolie has entered the building! Sven got settled on stage and took a quick picture with one of the Asylum’s workers who was wearing a Kitty Zombie T-Shirt. As he gushed over Sven, the woman assigned to work the line turned to me and said, “I just don’t understand these people that get all worked up over celebrities. It’s crazy!” I thought about mentioning to her that I had been known to stand in line hours to see Svengoolie, had recently written an article in SCARY MONSTERS MAGAZINE about my fandom of him, and had a Svengoolie shrine back home in my curio cabinet but decided to just stand there smiling instead. Then the big moment arrived! Sven’s assistant, Jim Roche, saw me and smiled. I’ve written a lot about Svengoolie on this site but not enough has been said about Mr. Roche. He is, without a doubt, one of the nicest guys around. Even back in my pre-TERROR FROM BEYOND THE DAVES days, he was more than gracious. One time, a couple years back, my camera konked out while he was taking a picture of my kids and I with Sven. Jim took a shot with his own camera and emailed it to me the next day. Jim treats the fans like gold and, trust me when I tell you, this is not always the case with those assisting celebs. Jim beamed and said to the woman working the line, “Do you know who this is?” as he pointed to me. After she shook her head he said, “Well, he’s Dave and there are two of them! So, do you know who the other one is called?” After shaking her head a second time he said, “Why that would be David, of course!” Jim gave me a hug as I made my way up the platform stairs. I walked up and said hi to Svengoolie who is always a pleasure to meet. Unable to have him sign anything at JJ Blinkers, I brought a bunch of stuff tonight but assured him that, if he couldn’t get to all of it, I’d surely catch him again this month at another event. “No, that’s fine!” he said and signed everything. I picked up a couple of new glow-in-the-dark Sven T-Shirts for me and the “other Dave” (David Albaugh) so I could hand deliver it to him in a couple weeks when I fly up to Rhode Island to see him. Sven asked me to say “hello” to him and I mentioned how excited David was to be able to see his show from his own New England home this very night. “That’s right!” said Sven. “That is really great to hear.” I then joked that David was considering NOT watching him in favor of popping on a DVD of another horror host, and he cracked up. Aside from providing cards to sign for fans who were slightly less prepared than I was, Sven was also passing out promos for next week shows! Fans of the Friday Horror Host Report will enjoy this Svengoolie-sneek peek! I for one, am thrilled that THE MOLE PEOPLE will be getting the “Horror Host Treatment” this Saturday! As I left, I passed the line of fans still waiting to see their idol. 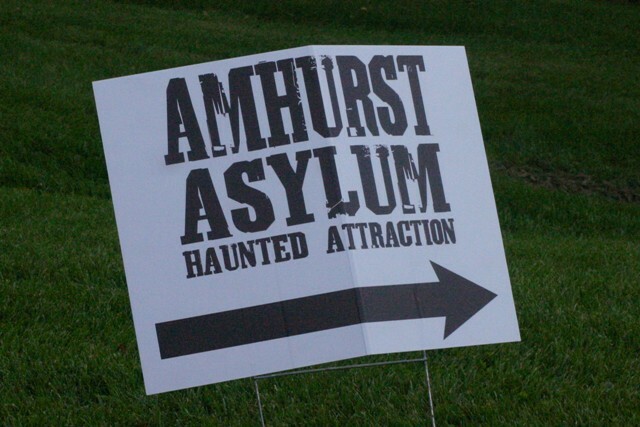 The line reached out of the stable and, while not as crazy as JJ Blinkers, looked to be yet another successful turn-out.I decided to then give the attraction itself a try and paid my $20 before entering the asylum. 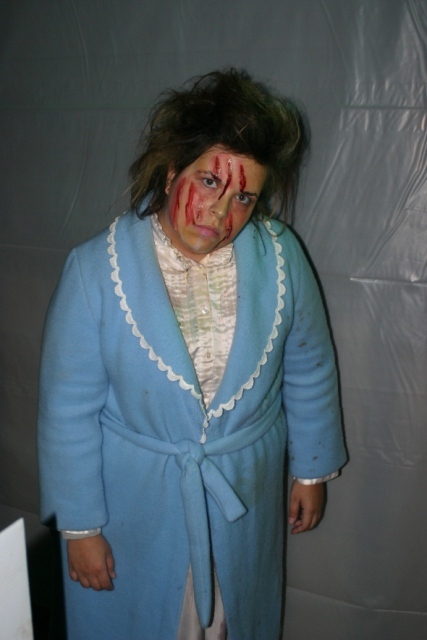 Having kids, its been years since I attended an “adult” haunted house and this one gave me quite a few scares! Its definitely worth checking out this Halloween season! Line of fans awaiting to see Sven! This was without a doubt, the perfect way to kick off my favorite time of year! 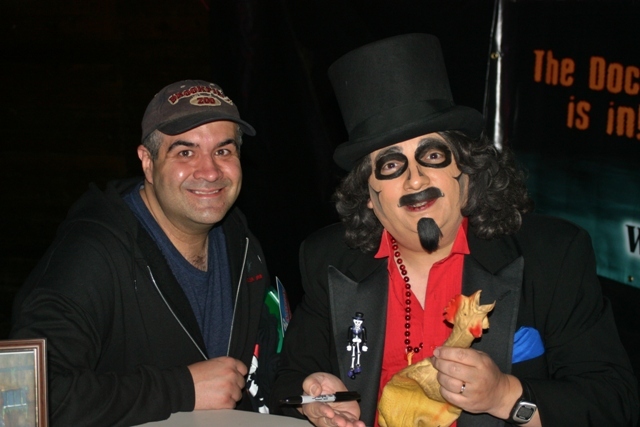 I look forward to catching Svengoolie again at the Berrrr-wyn parade and other appearances including my favorite place in the world – Chicago’s Brookfield Zoo! What can I say? Us Svengoolie fans are just crazy like that. 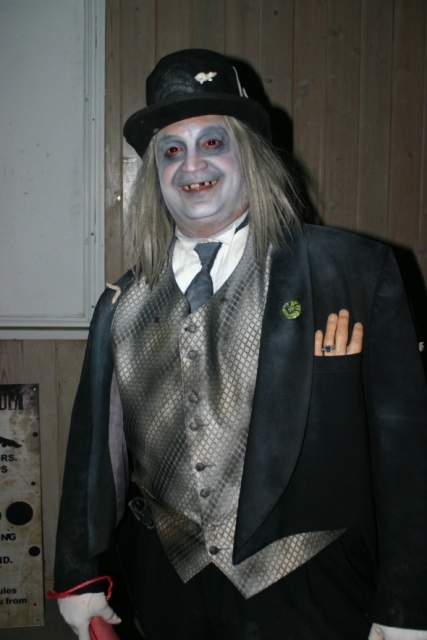 This entry was posted in Halloween, Haunted Attractions, Horror Hosts, Stalking Svengoolie! 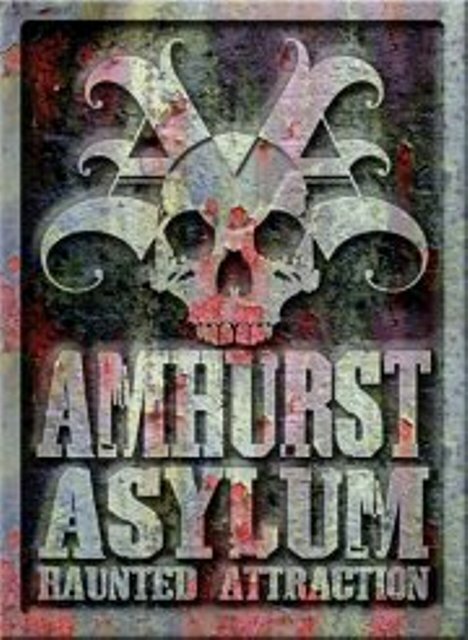 and tagged AMHURST ASYLUM, HAUNTED ATRACTIONS, KITTY ZOMBIE, Midnight Syndicate, Rich Koz, Svengoolie. Bookmark the permalink. ← “Search for the Next Elvira’s” Manvira Judge Speaks Out!